City United Way Campaign Bureau Representatives. The City of Savannah kicked off its 2015 United Way Campaign with a pep rally at City Hall Friday morning. 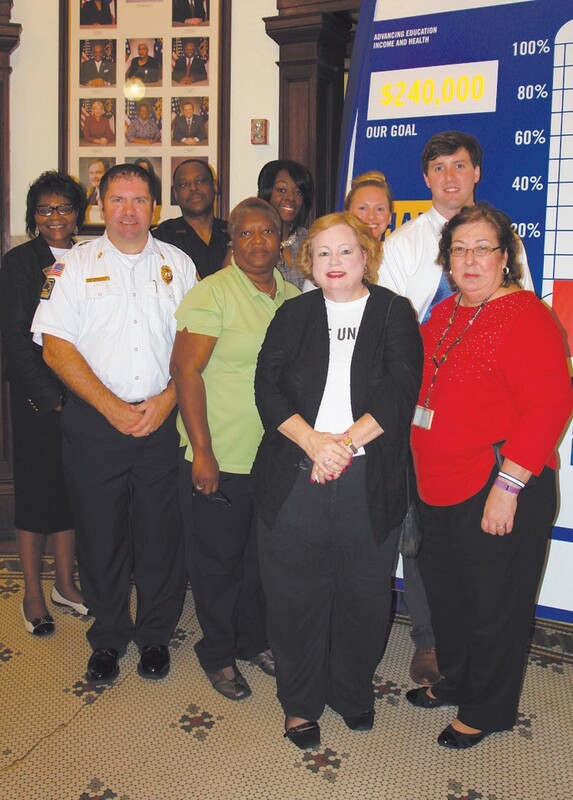 Mayor Edna B. Jackson, City Manager Stephanie Cutter, United Way CEO Greg Schroeder and the 2015 Campaign Chair Toby Moreau joined City staff and United Way Agency representatives for the Campaign Kick-off. Attendees were given a special treat as Mary Katherine Shearouse opened the program with a rousing rendition of the Star Spangled Banner. The City of Savannah as a workforce has historically contributed more to the United Way Campaign than any other municipality in Georgia, according to United Way officials. This year’s goal for City of Savannah employees is $240,000. The United Way of the Coastal Empire is celebrating 77 years of improving lives in our community this year. They provide funds for more than 100 human service programs, representing 54 non-profit organizations, in a four-county service area. The United Way of the Coastal Empire’s target goal for 2015 has been set at $9,000,000.